Today, I'm cleaning out my Drafts folder! East Villagers are modern-day Boosters! Tree branches in the trash can. 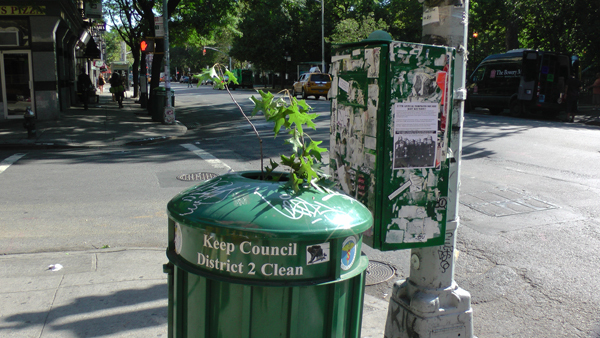 Green leaves, green trash can, green traffic light control box — Keeping Council District 2 Green, I mean clean… in the East Village Today!